Transforming a look sounds like it takes a lot of work, but it doesn’t necessarily have to. Choosing one element to change can alter the appearance of the whole area and, as its visible throughout, the wall can be one of the elements that evoke the most change. 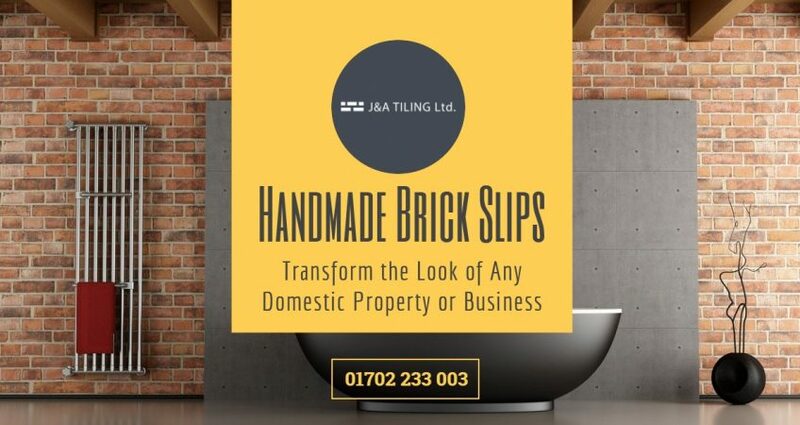 Rather than just a fresh coat of paint or a new wallpaper, however, handmade brick slips can offer a drastic change that instantly adds much more personality to a property. Exposed bricks as an intentional feature didn’t really begin to appear until around the 70s when interior designers trying to transform old industrial buildings into homes kept them in rather than trying to keep them covered. This proved much more innovative than even they might have expected. People saw the exposed brickwork as something much more authentic, something with more character, and something that perfectly captured the imperfect appeal of urban living. Since then, people have been trying to get the brick effect in their properties to complete a variety of aesthetics. Exposing and maintaining or building real brickwork can be expensive and a lot of work, however. Wallpapers and paint stencil solutions followed, but they lacked the depth and, more importantly, the tactile sensation of real brick. For that reason, brick slips have dominated as the most cost-effective and efficient way to get the most realistic look possible. Brick walls in the home instantly add personality hearkening back to those old ex-industrial environments of the 70s. They can be used to help achieve a wide range of aesthetics, from adding a rugged authenticity to a rustic look, bringing an industrial décor style to life, or adding some urban contrast to a neat contemporary design. They’re also perfect for more localised use, helping to zone one wall and make it stand out from the rest to serve as a focal point, or to use a splashback in the kitchen. Wherever you use it in the home, you are guaranteed to get a lot more personality out it. You may well have noticed that certain brands are starting to make the brick effect part of the look. In particular, cafes, restaurants, and bars are using it in order to capitalise on an urban look that fits a young, metropolitan demographic. Brick effect cladding can help any business achieve a more raw, genuine-article brand through interior design while costing a lot less to implement than trying to expose or build real brickwork. The property is a lot more important to the brand of the business than many recognise, and taking the extra step to give yours more personality can make the difference in the eyes of the customer. The brick effect is in. It’s evocative, it’s versatile, and with handmade brick slips, it’s easier to get a realistic representation than ever before. 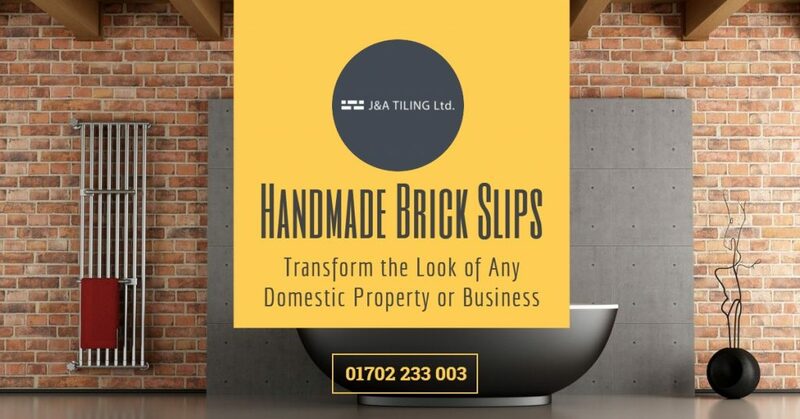 If you need handmade brick slips installed by experienced brick slips installers at your residential or business property in Essex, London, Kent or Surrey, contact J&A Tiling today.